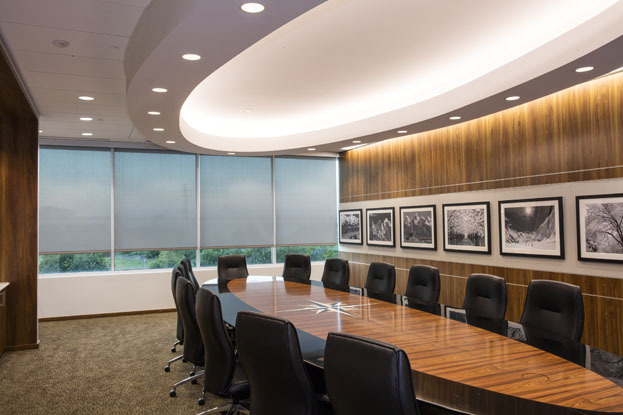 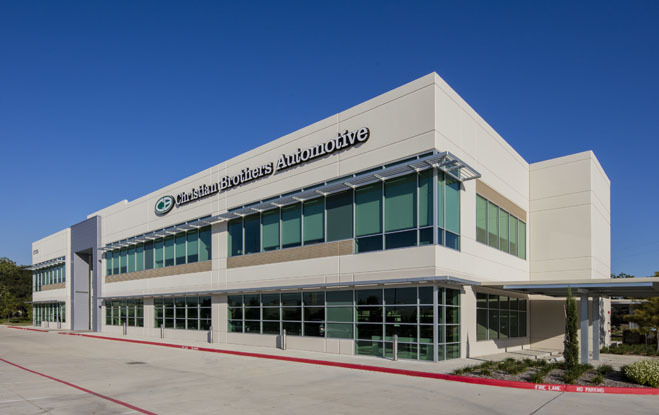 When Christian Brothers Automotive Company (CBAC) built its new corporate headquarters, they wanted to ensure employee productivity and comfort. 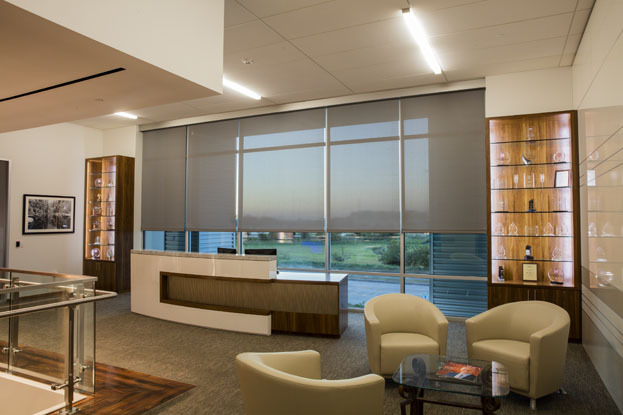 Located in Houston, the concrete headquarters building needed features to help combat the harsh Texas summers. 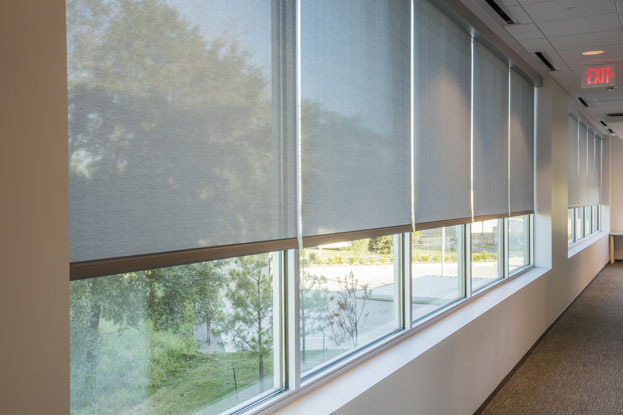 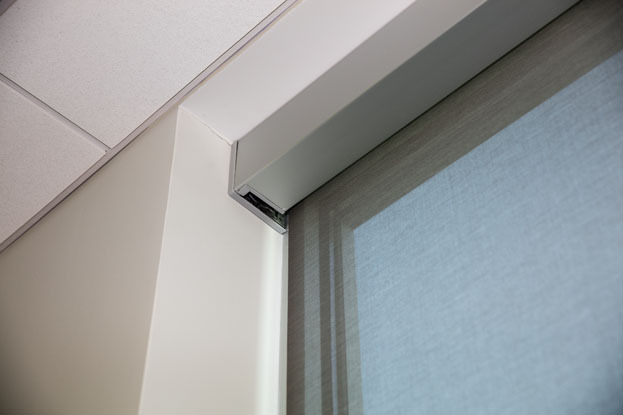 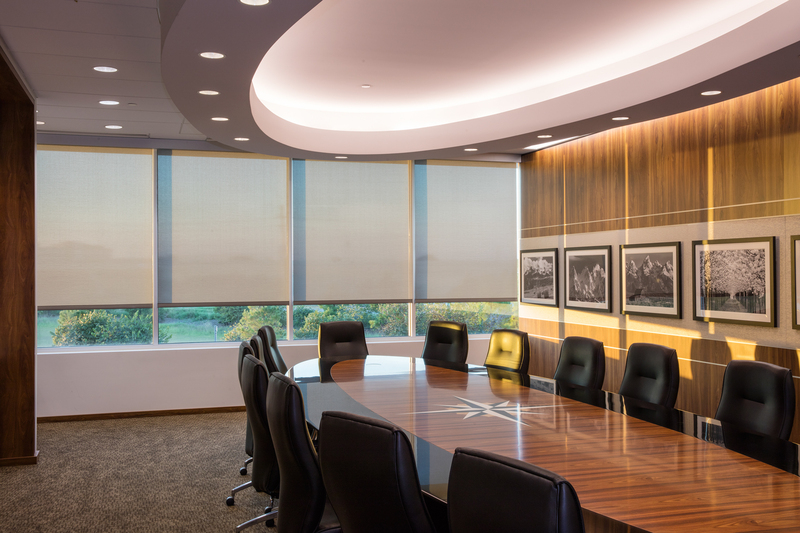 “The heat was obviously brutal, but so was the glare, especially on the east, west and south sides of the building,” said Steve Palmer, President of Creative Blinds, Inc., which installed the shades. 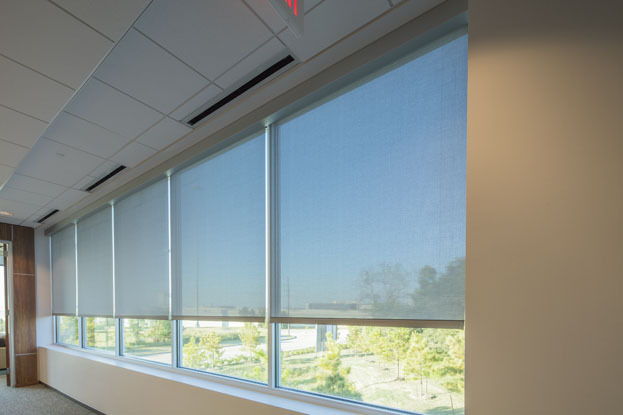 In consultation with the CEO of CBAC, Mark Carr, Palmer and his team at Creative Blinds specified Hunter Douglas' motorized RB 500 roller shades and Mermet's specially heat-reflective fabric, T Screen with KOOLBLACK Technology™, to help block the intense sun pouring in from all sides of the CBAC headquarters. 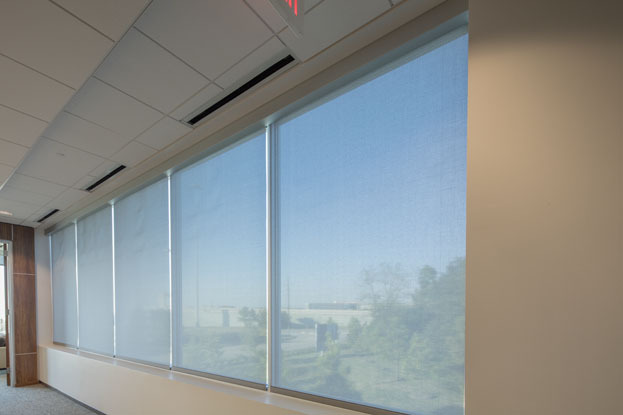 According to Robert Beals, Product Manager at Mermet Sun Control Textiles, other customers have experienced similar effects after installing T Screen with KOOLBLACK™ Technology shade fabrics. 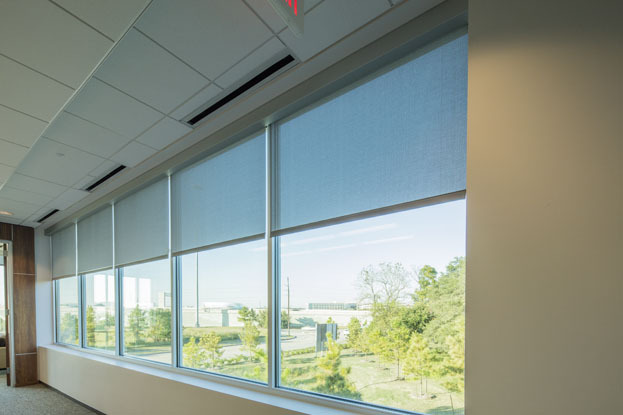 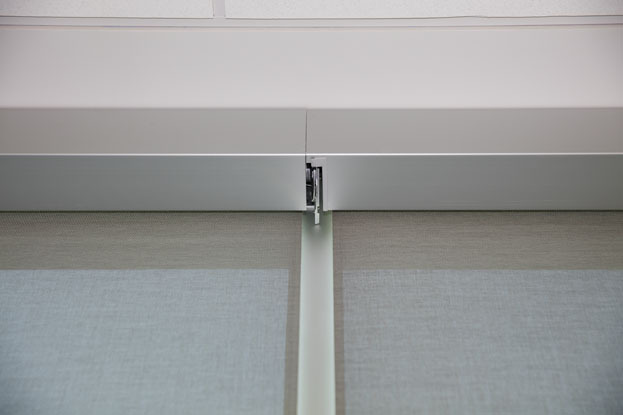 In fact, the fabrics have been proven to reflect 65% of all solar energy, reducing heat gain, as well as blocking 91% of visible light to control glare, enhance visual comfort and increase workspace productivity.